Everyone has lulls from time to time, and the length of those lulls differ each time. I am constantly having little lull moments no matter what project I’m working on. I’m a hugely creative person, I love seeing new things, I love experiencing new moments, I love being excited about new ideas, and I love sharing those ideas with like-minded people, but every now and again I completely crash with nothing left in me whatsoever. Losing your motivation comes down to a number of reasons – and it’s not because you aren’t good enough. You could honestly just be completely spent from being that amazing creative you are and simply need a bit of a recharge. Different people recharge differently, and my recent trip around Scandinavia really did begin to bring me back to who I am and made me reconsider all of the huge goals that I thought I’d lost, it also hugely woke me up to the tedious tasks I endure on a daily basis. Not everyone gets the opportunities to set off around the world, and believe me I’ll be paying for it for some time, but even stepping outside of your doorway to peer at the hidden pools of inspiration around you that you may not have noticed before could do wonders. I know exactly how hard it can be to bring that fire back, especially when all you want to do is sit on that overly inviting sofa in your comfy pjs watching box sets over and over – hello Netflix and chill. I’m hugely guilty of doing this and could definitely spend days revisiting the same position on the sofa with a handful of terrible snacks. In fact, I do this fairly often… because sometimes that really is all you need. But you also run the risk of becoming even more unmotivated, so whilst you’re moping into oblivion on the sofa why not recharge your creativity at the same time. I often find that within a few moments I’ll start feeling a little spark of creativity come back, and within an hour to a couple of hours I’ll be ready and rearing to go all over again. You may not jump up there and then to get going on that project you’ve put aside, but on the second day I’m usually feeling far more awake and positive and am willing to do everything it takes to make some changes or to get ahead on whatever it may be that I’m working on. 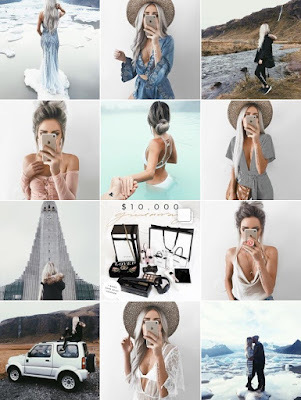 Whilst I’m scoping out the inspiration I’m constantly pinning or screen-shotting or taking notes as I find that the deeper I delve into the search the more and more fantastic ideas I come up with. If you’re anything like me you’ll have come up with a few fabulous ideas and then forgotten them all by the time you come up with your next one. Jot everything down, make notes all over the place. These ideas, no matter how small, will motivate you further when you physically come back to your project. I use this method for everything, not just for blogging or for Instagram inspiration. I also search through Pinterest and Instagram when I'm feeling a little creative lull in my self-employed business, when I need fabulous new DIY gift ideas (Pinerest here especially), or even simply for a little outfit inspiration. You can absolutely use this method when you need any kind of motivation, big or small. This is also a great way to unwind, relax, and spend time refuelling yourself. Creatives definitely need a little down time, and what better way to spend that down time than inspiring yourself… even if you are glued to your very comfortable sofa in the same pjs for the third or fourth day running. If you’re a fashion blogger then head to Instagram and hunt down some likeminded fashion bloggers, or fashion bloggers who you inspire to be, or fashion bloggers whose feeds simply amaze you. The same goes for any of your bloggers or Instagrammers, find the inspiration and hold on to it. If I come across someone’s wonderful feed by accident and feel the inspiration there and then I immediately follow them. I often find that their Instagram ‘stories’ are just as fabulous as their feeds too, and this is a great little bonus of inspiration you receive for following them. 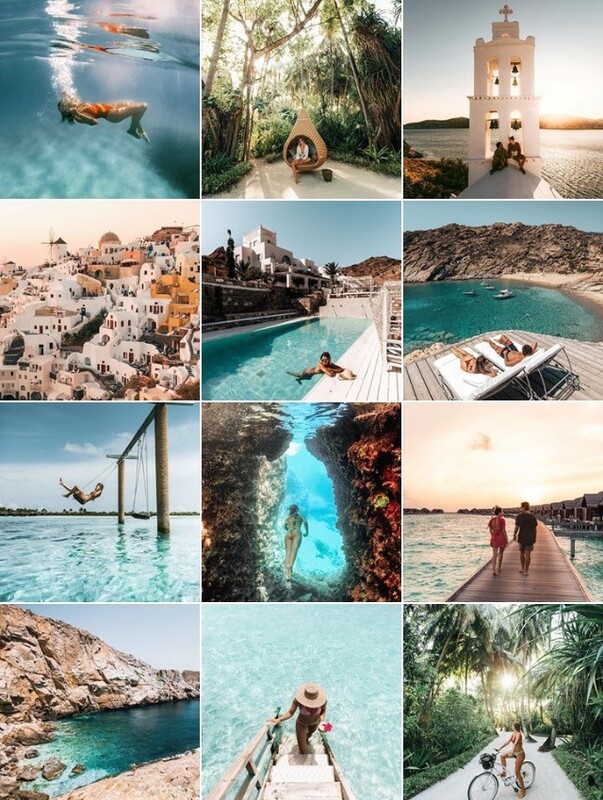 Follow someone because they make you think ‘wow’, follow someone because their wow feed is how you dream your feed should be, follow someone because both they and their photos are inspiring you to dream a little more. 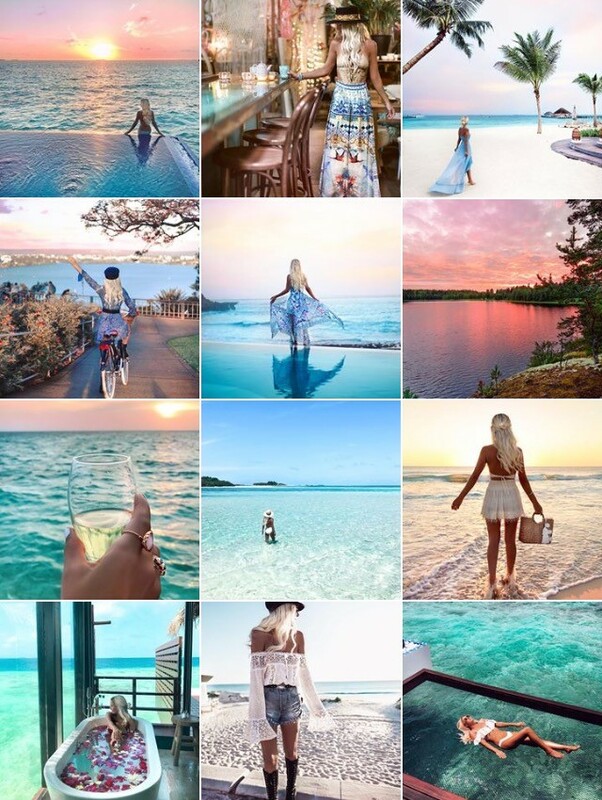 I am constantly following new beautiful Instagrammers with beautiful feeds and beautiful stories. It doesn’t matter how popular they are or how many follows they have or if they’ll follow you back, follow them because their feed makes your soul shine a little each time you see their photos. 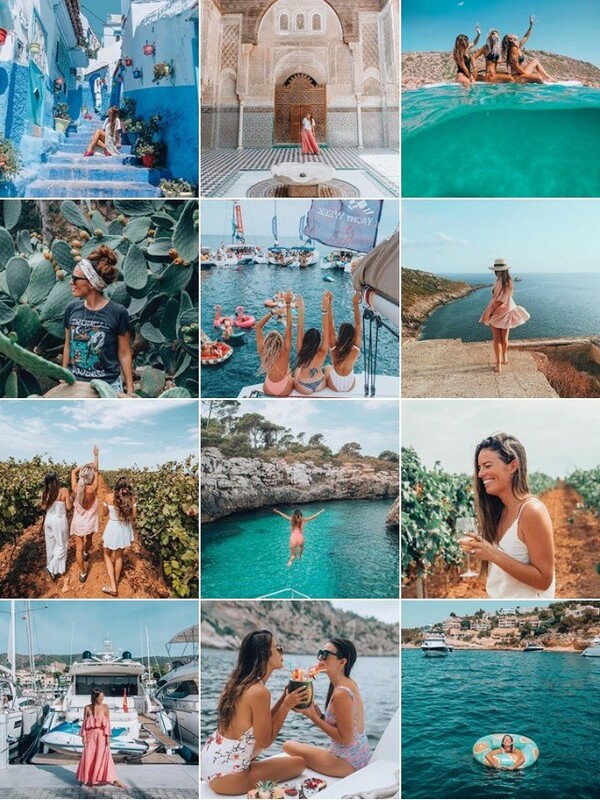 Currently I’m following one particular Instagrammer and blogger who is sailing around Spain on Yacht Week. Dreams or what! Not only do her snaps make me think ‘I can so do that’, but thanks to her incredible feed enticing me in I’ve found three new incredible Instagrammers to follow - who all happen to be on the same Yacht Week. These four ladies have amazing feeds, all of which I dream to inspire to. That motivation right there makes me plan ahead my next steps to bring myself closer to those dreams and goals. Of course I do occasionally find myself scrolling through my Instagram feed and finding the odd photo that doesn’t really seem to fit in with my overall Instagram atmosphere, and I’m left wondering ‘where did this come from’. You will lose love for some muses, and that’s absolutely ok. It does happen, though rarely, where I unfollow an account that doesn’t resonate with where I am or what I’m trying to achieve. People are constantly developing, be it them or you or you both, and you may find that their creativity simply doesn’t gel with yours anymore. It’s always good to have a clear out, to unfollow the accounts that just don’t do it for you right now. As you grow and develop so will your tastes in what you want to be following on a daily basis, and that’s all part of being the creative genius that you are. 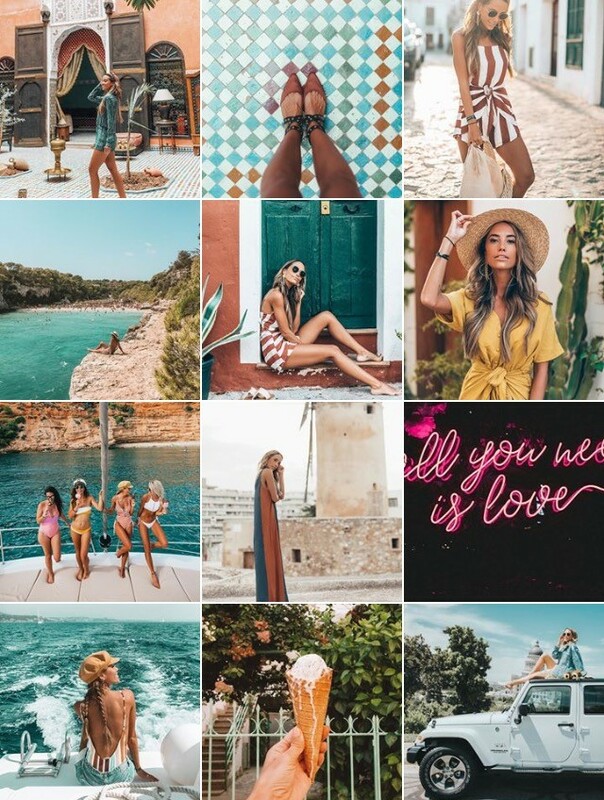 Find those Instagrammers and bloggers whose aesthetics really sing out to you, and when you need a little motivation or a little creativity boost go and stalk through their feed until you’re inspired to begin again. I’m going to compile a list of my absolute favourite inspiring Instagrammers for you to all take a peek at and hopefully be equally inspired by, and this will be live on the blog next Friday. I’m hugely excited to share this list with you and am already thinking of the perfect peeps to feature. Please do leave me a comment below and let me know of any Instagrammers or bloggers whose images inspire you each time you see them, I always welcome extra creativeness.